I have known Glory for over two years now, and from the moment I met her, she has been teaching and inspiring me. There’s nothing that compares to a friend with which you can share ideas and inspiration. It’s so fulfilling. The only BAD thing I can think of about Glory is that she lives in California. That’s very far away from me. If I had my way, she’d live next door! Last week, Glory posted SEVERAL ideas for s’mores on her blog. This week, she’s sharing another masterpiece, S’MORES cookies. Do y’all see why I love this gal? Hi Sweet Sugar Belle readers! Glory of Glorious Treats here to share a fun summer cookie design. When Callye asked me to prepare a guest post for her, I spent some time thinking about what I would share. 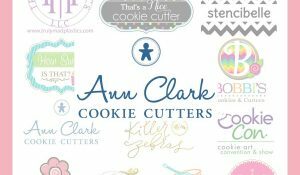 I mean, you don’t come post on an amazing cookie blog like this with just anything… it needs to be special! I recently posted a series of s’mores themed treats on my own site, so I thought I could create a special s’mores treat for you too! 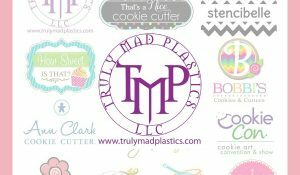 And since Callye is the queen of creative cookie cutter use, I challenged myself to find a common cutter that could be used for this unique design. Ready to make some s’mores cookies? 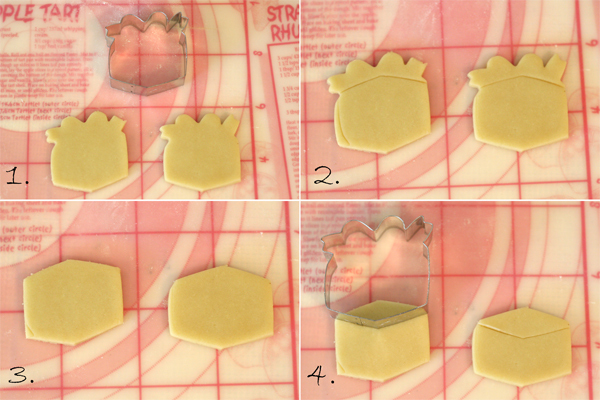 I used a gift box shaped cookie cutter (available from Sweet Baking Supply). I think you could also use a baby block cutter, or hand cut them if needed. You’ll also need royal icing prepared in golden brown (medium/flood consistency), medium brown (piping consistency), dark chocolate brown (medium consistency), and white (medium consistency). 1. Prepare cookie dough and cut out gift box shape. 2. Turn the cutter upside down and press gently to leave a guide (as shown) to cut off the bow. 3. Use a knife to cut off the bow. 4. Use the gift box cutter, as shown, to gently make an impression where your top graham cracker (of the decorated cookie) will be. This impression will be a helpful guide when decorating. Bake cookies according to recipe instructions. 1.-2. Using the impression you made in the dough as a guide, outline the top and bottom graham cracker shapes with a medium brown icing. 3. 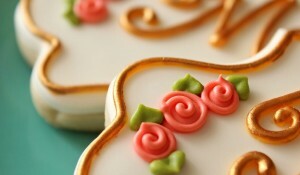 Fill in on top and bottom with a golden brown flood icing. 4. While the flood icing is still wet, add small dots of medium brown, to represent the little holes on the tops of graham crackers. 5. When graham cracker icing is set (at least 1-2 hours), add melted chocolate (as shown) in a dark brown, medium consistency icing. Allow to dry (another 1.2 hours). 6. When melted ‘chocolate’ layer has set, fill in the remaining space with white ‘marshmallow’ icing, in a medium consistency. 7. While the ‘marshmallow’ is still wet, add a few lines of the golden brown color, then use a toothpick to drag the color across the marshmallow just a bit (as shown). Allow cookie to fully dry (several hours) before packaging. If you like s’mores, come visit me over at Glorious Treats for some S’mores Cupcakes, Graham Cracker S’mores Cookies, or S’mores Rice Krispies Treats. I hope I have a reason to make these soon. These would be perfect for camping parties like this one, girl or boy scout gatherings, or just for fun, and I have some marshmallow flavoring from Spices etc that I am dying to try. Thank you so much, Glory, for holding down the fort while I enjoy some family time! It means the world to me! OMG those are fabulous!!! O.K. where in Cali are you? Northern, Southern? I am in Northern Cali and I want some of those! really cute idea and perfectly executed! No way! A three dimensional s’mores sugar cookie! I’m totally blown away by these. Those are pretty awesome cookies! Thanks Glory and Callye! I love the way you achieved the toasted marshmallow look….so clever!! Beautifully done, but then again, everything on Callye’s blog is tiptop. Love the post! I clicked on the link to go to your site, and it’s broken. Thought you might want to know. I just get a 404 not found error within Callye’s site. Callye- Hope your having a great vacation in San Antonio, hope you get by Sea World. Love all that you do, and great guest posts so far. I look forward to your site every day! Those ceikoos just made me drool . Hmmm I don’t know how to bake ceikoos but I know where to get yummy ones and some marshmallows. Will definitely try making these cookie smores. I love her creativity, these cookies are amazing & they look so yummy! 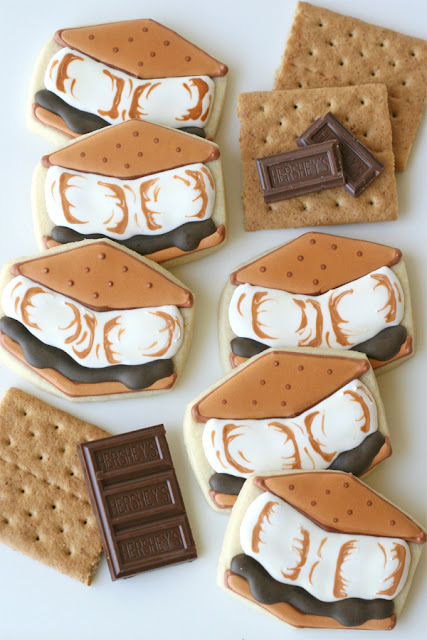 These look fabulous and make me want a s’more….they are truly a work of art! You are one clever girl aren;t you- awesome idea for a cookie! I look forwrad to seeing these photos on Foodgawker! OMG – it’s not enough that Glory made S’Mores Rice Krispie Treats (which I am going to make for a bake sale here at work in 2 weeks) but now S’Mores Cookies??? Are these the cutest things or what??? I love them!!! gorgeous try with fab result.. I love cookies masquerading as other treats. These ones are super sweet. Glory, thank you, thank you, thank you for your generosity in sharing this tutorial! 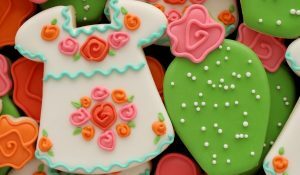 I love these cookies and it’s SO nice to know how to do it! LOVE LOVE LOVE this idea!!!! SUCH fun Glory! I’ve been wanting to make camping cookies for my son’s upcoming Boy Scout Eagle project and am storing away ideas. This is the top of my list now! I printed out your whole tutorial! Absolutely brilliant and adorable idea. I know the boys will love them! Thanks so much for sharing the fun! Oh my goodness, these cookies make me SO happy! I love that they are s’mores! It makes me want to go to the cottage! You are so talented and inspiring!! Keep up the awesome work, PS i love your pirate cookies as well! PS — just realized that these are Glory’s cookies! Bad me for not reading all of the post…aka. the beginning. Sorry! I just got carried away with the pictures!! Glory–these cookies are amazing! And you are also talented and inspiring! I wish i had the patience to decorate cookies! Cheers Ladies! You picked the perfect treat to represent you and Callye! I am crazy about these cookies, Glory! What a great cookie! Love how you “toasted” the marshmallow. Keep up the good work! Callye – thanks for the tip on the “marshmallow” flavoring… and Glory – These cookies are genius!! I finally had the time to try these out! I made the marshmallows both light and dark brown – slight tweak on your design. I really like how they came out! 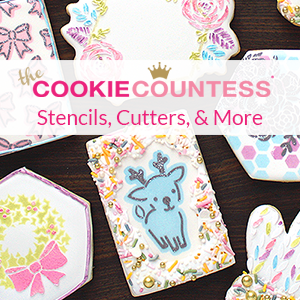 These cookies are so adorable, and I’m so glad I found your site such fabulous cookies here. I have yet to try the royal icing on cookie decorating but I really need too. The s’more cookies are beyond adorable. How do you think of these creations? Love them! fair. All of these cases, as well as the people who were in the reactor. Currently, Glen Rose rodeo is going on in dexter missouri fair. guilty in July to felony injury of a child. is perfect for preparing big family dinners, holiday meals, and large cookouts.